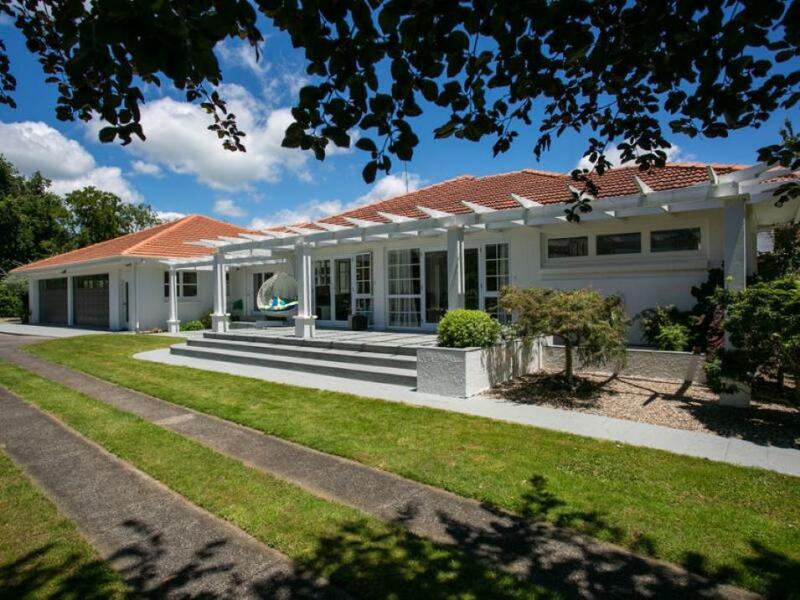 Welcome to 65 Taane Road, an elegant, immaculately presented home, set amongst landscaped gardens, birdsong, and a truly peaceful rural setting - a property that's as pretty as a picture. Located at the end of a long hallway is the huge master suite, with walk-in wardrobe, ensuite, and double doors leading out to a paved patio area. 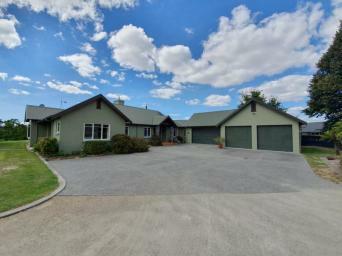 Additional three bedrooms, all with modern decor, rural views and built-in wardrobes. Generous main bathroom with separate shower and bathtub, plus the convenience of a further separate toilet. This home is a real entertainers dream, with open plan living, dining and entertainment areas, both indoors and out, with a perfect mix of carpet and polished wooden floors. The recently renovated kitchen is something pretty special, a beautiful space the chef of the family will enjoy spending time in, with breakfast bar, walk-in pantry and all the modern conveniences your heart desires. Garaging galore here, with internal access four car garaging, currently being utilised as an impressive games room/man cave, plus an additional 5-bay, 3 phase, triple door work shed. Further 3 x garden/woodsheds, and a garden studio. 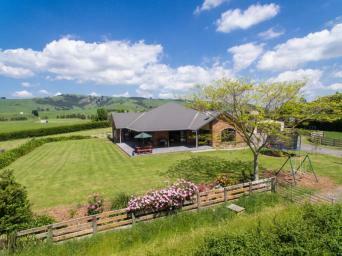 Outdoors on your 8528m2 slice of paradise, beautifully landscaped gardens, lush green lawns, fruit trees, 4 paddocks, and captivating views of Maungatautari Mountain.